DAVIE, Fla. -- A Florida man says he accidentally killed an 8-year-old girl's puppy when the dog wandered into the path of his pellet gun. 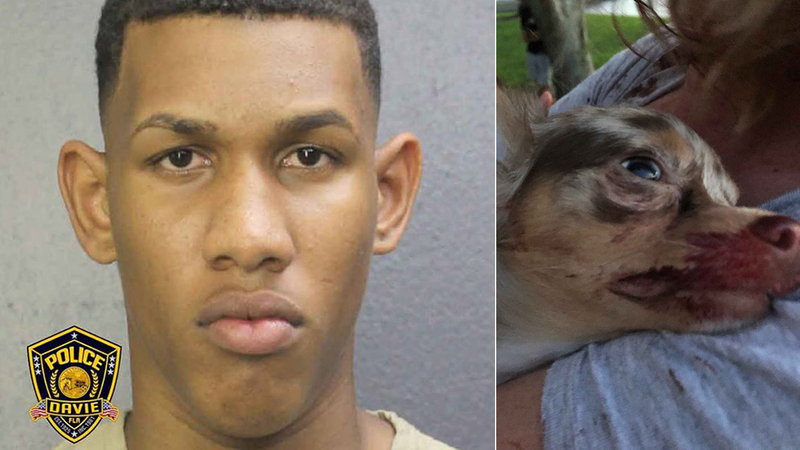 The South Florida Sun Sentinel reports 19-year-old Johansen Concepcion De La Ros pleaded not guilty to animal cruelty Wednesday. Authorities say Concepcion De La Ros was standing on the balcony of a Davie apartment in September when he fired the scoped pellet rifle at the Chihuahua puppy named Princess. An off-duty police officer saw the shooting and called 911. Police found the girl holding the limp, bleeding animal. Concepcion De La Ros told police the puppy walked into his line of fire as he was shooting toward a lake. Concepcion De La Ros' friend, Daniel Alvarez, told police that Concepcion De La Ros planned to shoot the dog.